This article is about dimethyl ether. 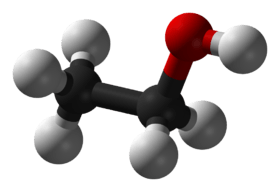 It is not to be confused with dimethoxyethane. Dimethyl ether (DME), also known as methoxymethane, is the organic compound with the formula CH3OCH3, simplified to C2H6O. 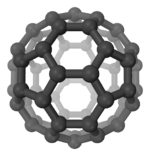 The simplest ether, it is a colorless gas that is a useful precursor to other organic compounds and an aerosol propellant and is being studied as a future energy option. It is an isomer of ethanol. Both the one-step and two-step processes above are commercially available. Currently, there is more widespread application of the two-step process, since it is relatively simple and start-up costs are relatively low. There is also a one-step liquid-phase process in development. This application consumes several thousand tons of dimethyl ether annually. Dimethyl ether is a low-temperature solvent and extraction agent, applicable to specialised laboratory procedures. Its usefulness is limited by its low boiling point (−23 °C (−9 °F)), but the same property facilitates its removal from reaction mixtures. Dimethyl ether is the precursor to the useful alkylating agent, trimethyloxonium tetrafluoroborate. Dimethyl ether is the main constituent of "freeze spray", a spot-coolant used in field testing of electronic components. In this role it has supplanted halocarbon compounds (Freon), which have been suspected of contributing to ozone depletion in the Earth's atmosphere. Dimethyl ether is also a component of certain high temperature "MAP-plus" blowtorch gas blends, supplanting the use of methyl acetylene and propadiene mixtures. A potentially major use of dimethyl ether is as substitute for propane in LPG used as fuel in household and industry. It is also a promising fuel in diesel engines, petrol engines (30% DME / 70% LPG), and gas turbines. For diesel engines, an advantage is the high cetane number of 55, compared to that of diesel fuel from petroleum, which is 40–53. Only moderate modifications are needed to convert a diesel engine to burn dimethyl ether. The simplicity of this short carbon chain compound leads during combustion to very low emissions of particulate matter, NOx, and CO. For these reasons as well as being sulfur-free, dimethyl ether meets even the most stringent emission regulations in Europe (EURO5), U.S. (U.S. 2010), and Japan (2009 Japan). Mobil uses dimethyl ether in their methanol to gasoline process. Dimethyl ether is being developed as a synthetic second generation biofuel (BioDME), which can be manufactured from lignocellulosic biomass. Currently the EU is considering BioDME in its potential biofuel mix in 2030; the Volvo Group is the coordinator for the European Community Seventh Framework Programme project BioDME where Chemrec's BioDME pilot plant based on black liquor gasification is nearing completion in Piteå, Sweden. In 2009 a team of university students from Denmark won the Urban Concept/Internal Combustion class at the European Shell Eco Marathon, an unofficial World Championship for mileage, with a vehicle running on 100% dimethyl ether. The vehicle drove 589 km/liter, fuel equivalent to gasoline with a 50 cc 2-stroke Diesel engine. As well as winning they beat the old standing record of 306 km/liter, set by the same team in 2007. The image below illustrates some of processes from various raw materials to dimethyl ether. Dimethyl ether is considered a refrigerant with ASHRAE refrigerant designation R-E170. Dimethyl ether is also used in refrigerant blends with e.g. ammonia, carbon dioxide, butane and propene. Unlike other alkyl ethers, dimethyl ether resists autoxidation. 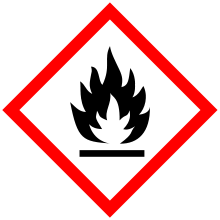 Dimethyl ether is also relatively non-toxic, although it is highly flammable. 1 2 3 Dimethyl Ether Technology and Markets 07/08-S3 Report, ChemSystems, December 2008. ↑ P.S. Sai Prasad et al., Fuel Processing Technology, 2008, 89, 1281. ↑ "A Pharmacist's Guide to OTC Therapy: OTC Treatments for Warts". July 2006.